Make your product an absolute eye-catcher! Hot embossing is a high-quality finishing process that uses heat and pressure to transfer motifs onto the paper using a special film. For this technique you need special pistons with your design. The hot-stamping foils can also have holographic features. They serve as an effective copy protection for your products. Hot stampings serve as a safety feature, as a trademark feature or simply as an eye-catcher. 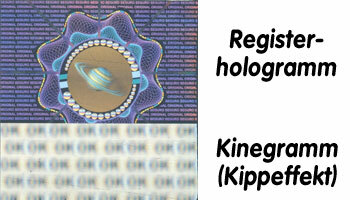 WE do also have register holograms. These are complex film images that are printed on the paper with a stamp. Through holograms, motifs as well as endless patterns with a striking effect can also be applied to your printed product. 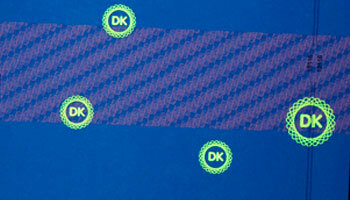 The typical effects are light refractions within the hologram films. Hologram films not only serve as an optical highlight but also secure your product. 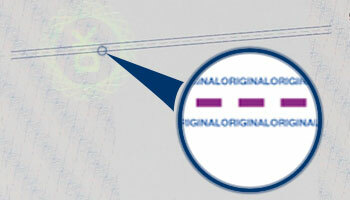 Hologram films can not be copied. UV fluorescent colors are almost invisible, but under ultraviolet light or black light, you can unfold all their glory and begin to glow. 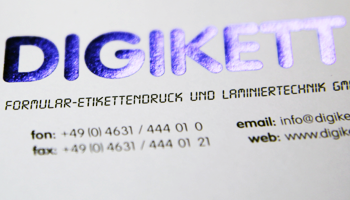 And the best of UV inks: they are not recognized by the copier. 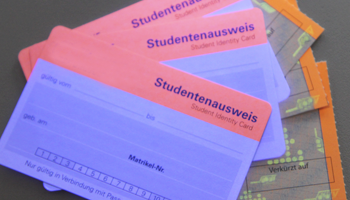 So your tickets are copy-protected and look great at the same time. These particular colors react to temperatures. The print image disappears at a certain temperature. Is this temperature range reached again the image appears. 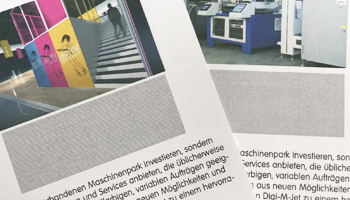 With this is you can check the print quality of your printed product by hand. 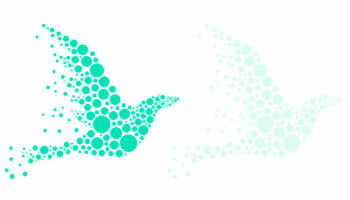 With these colors you get a spectacular effect: the logo (or similar) looks as if printed in a single color. If you put a filter card over it, a part of the image disappears and only the part with the special color remains visible. Of course, no color copier can copy this effect. This is another way to test products in turn on their authenticity. 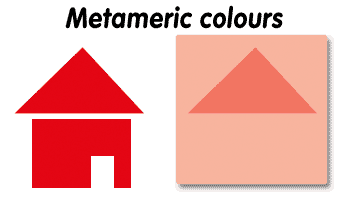 fluorescent daylight colors - often signal orange - can not be produced from the colors cyan, magenta, yellow and black and therefore can not be copied. In addition to simple visual inspection e.g. There are special test lamps. 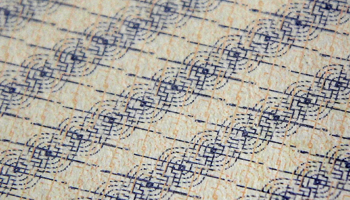 Guilloche designs are vector-based patterns of intertwined, thin lines that are created using mathematical calculations and can not be imitated. These fine, complex patterns - often printed in rainbow colors and / or security inks - can not be copied. This text is so small that it looks like a single line with the eye. With a magnifying glass you can read the text perfectly. Should someone copy a document with microtextonly one strip remains on the copy. DigiSecure provides real security for documents. 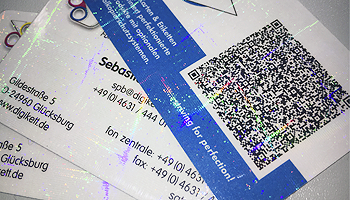 The variable data can be easily printed with a laser printer or inkjet printer. This gives each document an individual, an unbreakable security field that can be printed on plain paper. 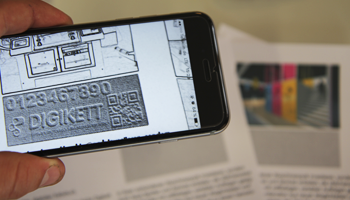 Encrypted encodings can contain text, images, and bar/QR codes. The field can then be created using a special software, such as an app. The data printed on your document can only be decrypted by the software you have released. Of course, at this point, we do not explain all the safety-related data in detail. We do not want to explain this to the counterfeiters what visible and invisible security features we can produce and how to recognize them! For further questions and information you can always call or write us.